We had our second Wind Up event at Wire & Steam coffee shop back on July 17th. 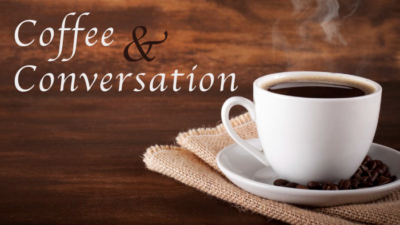 Our Wind Up Event is a laid back morning meeting for our members to have coffee (or tea or diet coke) and connect with one another. It is also open to potential members who would like to learn more about WISE. We had 10 members attend and some of our newer members Piedad Pena, Emily Lintott, Crystal Sielesnew and Naomi Thompson were able to share some of their story and help us all learn more about them. It is always a great time to connect and support each other. 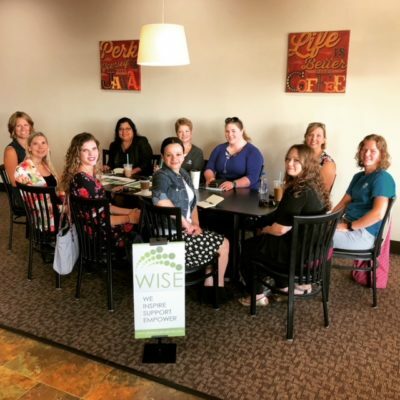 Our next WISE event will be our Summer Social on August 16th. Stay tuned for more details to come! Brooke is very involved in our community through numerous organizations; Warsaw Breakfast Optimist Club, Kosciusko Community Chamber of Commerce, Junior Achievement, Young Adult Professionals-Kosciusko Chamber, Warsaw Community Church. She currently is President of WISE.